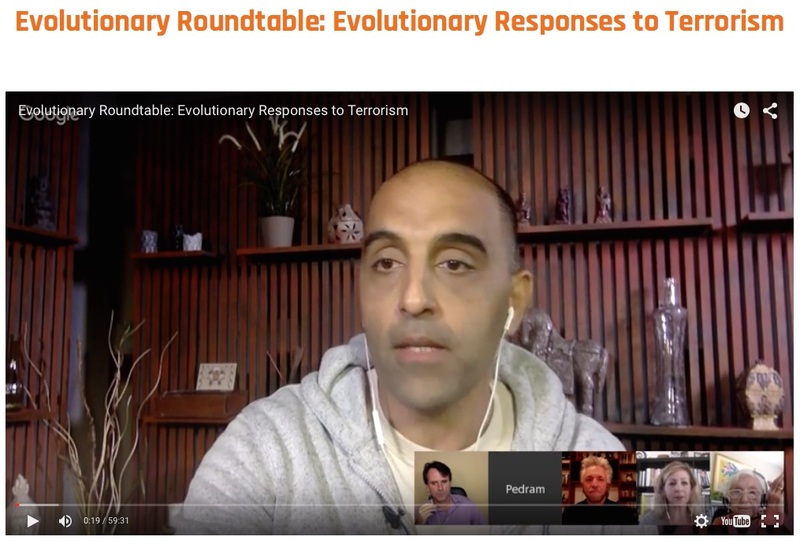 On November 18th, Pedram Shojai hosted an Evolutionary Roundtable as a Google Hangout, where members of the Evolutionary Leaders circle discussed Evolutionary Responses to Terrorism. 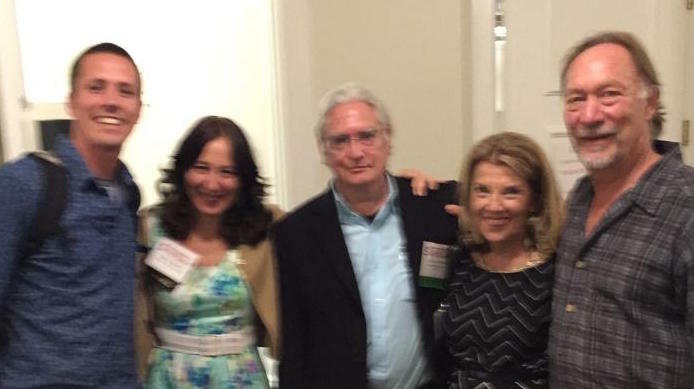 Offering their unique perspectives were Gregg Braden, Stephen Dinan, Barbara Marx Hubbard and Elza Maalouf. The terrorist attacks in Paris on Friday, November 13th, following on a twin suicide attack in Beirut the previous day, provoked many reactions around the world. The French President declared his country to be at war, and ordered air strikes in Syria. Ervin Laszlo and Barbara Marx Hubbard published a different kind of response, based on forgiveness (see it HERE). 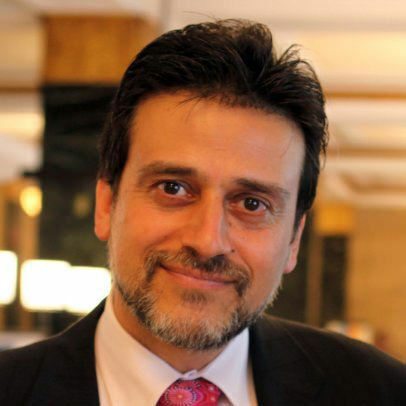 This sparked a lively discussion among the community of Evolutionary Leaders, prompting Pedram to offer his Urban Monk platform for an Evolutionary Roundtable focused on a variety of compassionate and creative responses to terrorism. This Evolutionary Roundtable follows up on an idea suggested by Jack Canfield at an Evolutionary Leaders retreat to hold such dialogues in immediate response to a crisis situation. In this compelling updated and revised edition of his book The Turning Point, best-selling author and visionary Gregg Braden identifies the keys to thrive in life’s extremes. 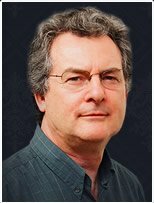 Drawing upon his expertise in leading-edge science and wisdom traditions of the past, he shares practical strategies for embracing big change in a healthy way. The new genetics has overturned the assumption that genes determined our biological destiny forever. Genes are dynamic, responding to everything we think, say, and do – our strongest allies for personal transformation. When you make lifestyle choices that optimize how your genes behave, you can reach for a state of health and fulfillment undreamed of even a decade ago. 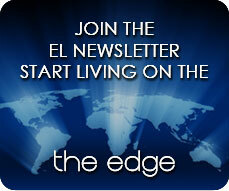 The impact on prevention, immunity, diet, aging, and chronic disorders is unparalleled. 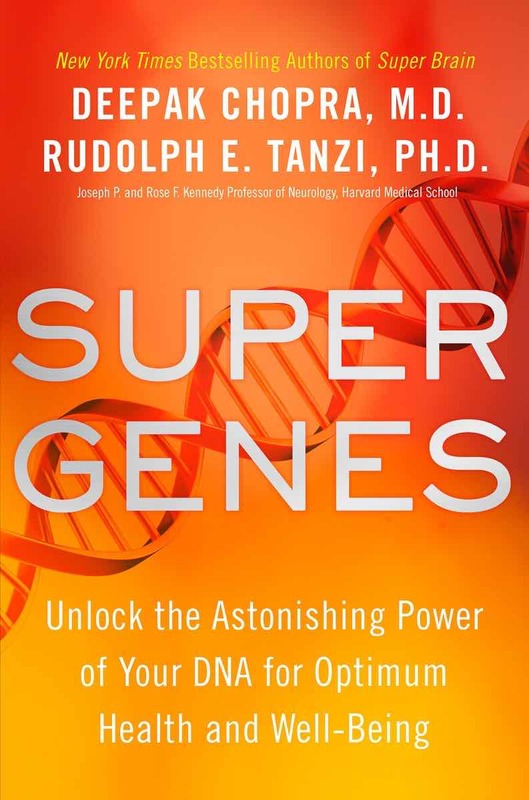 Learn how to shape your gene activity in this exciting and eagerly-anticipated book. 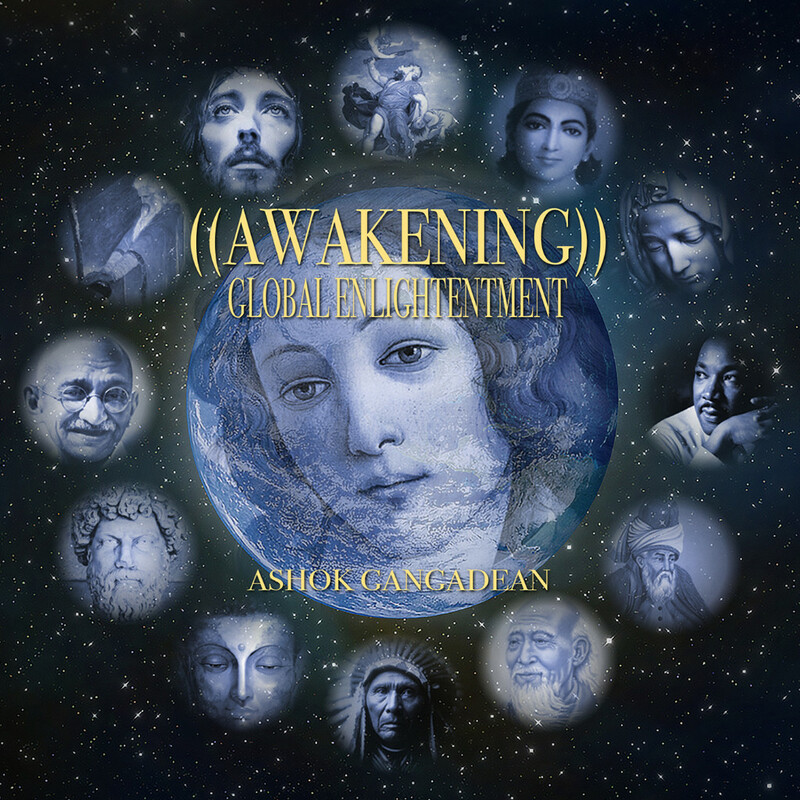 Journey with Ashok in this unprecedented dimensional crossing into the frontier of ((Global Enlightenment)). This is a deeper encounter with the ever-Present Source Field of Reality than we have thus far experienced. You will now enter an unfolding drama, an ultimate Mystery Story, the Mystery of Mysteries, the greatest ((Story)) never “told” – the perennial quest for the missing Source Code of Infinite Presence. 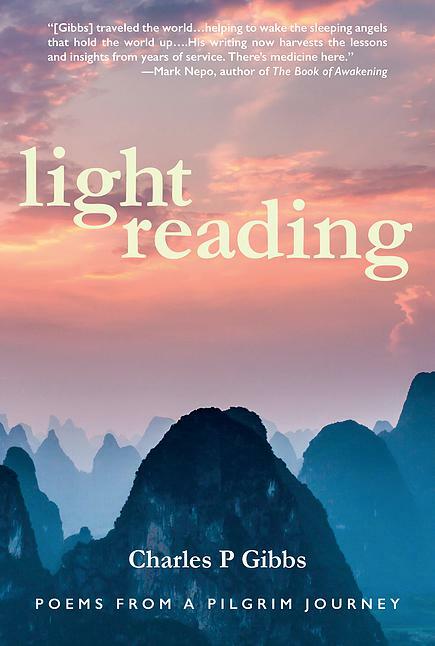 A journey of spiritual awakening awaits in Charles P. Gibbs's insightful new collection of poems, Light Reading. Over the past four decades, Gibbs has undergone an intense transformation which saw the death of many false selves — and the rise of the true self, which is ultimately a reflection of the One. Light Reading will support and challenge you on your own sojourn into the heart. 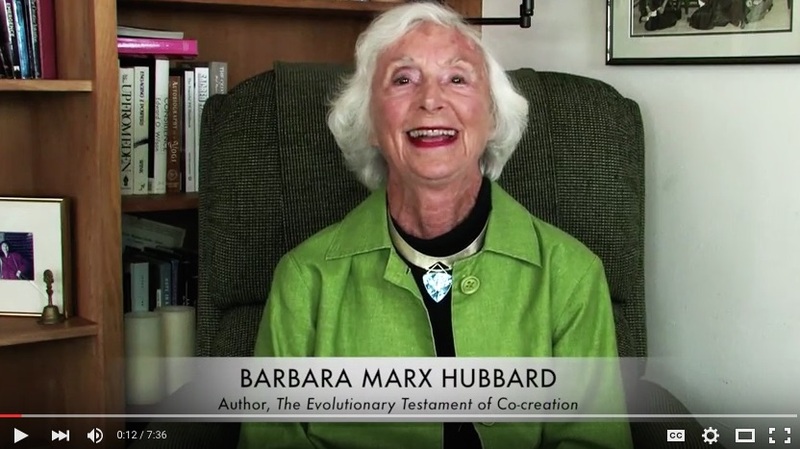 Barbara Marx Hubbard’s extraordinary book offers an evolutionary, future-oriented perspective on the Gospels of Jesus Christ. 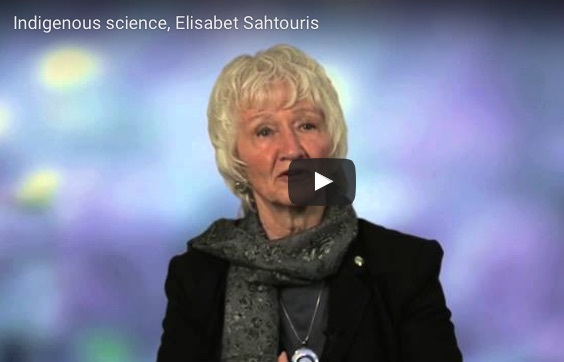 Barbara reveals that many of the miracles Jesus performed are actually similar to those acts that we currently aspire to achieve today, but so often without consciousness of Christ love. This book builds on the great themes in the New Testament, which are now coming true. The Promise is being kept. We have the power to destroy the world and we also can restore the Earth, evolve ourselves and all of society. The trumpet is sounding for our generation. Bruce Lipton’s seminal book on the relationship between mind and body changed the way we think about our lives, our health, and our planet. Ten years since its original publication, it is now widely recognized that genes and DNA do not control our biology, but are controlled by signals from outside the cell, including our thoughts. This anniversary edition, a profoundly hopeful synthesis of the latest and best research in cell biology and quantum physics, puts the power to create a healthy, joyous life back in our hands. 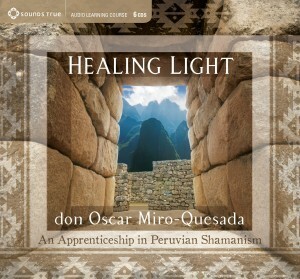 In this full-length audio curriculum produced by Sounds True, respected healer and teacher don Oscar Miro-Quesada guides us into the direct teachings, practices, and profound worldview of Peruvian shamanism. Listeners are offered singular apprenticeship in: the principles and methods of Peruvian curanderismo; guided shamanic journeys of transformation and healing; empowering rituals; and a treasury of other insights, many shared here with a Western audience for the first time. 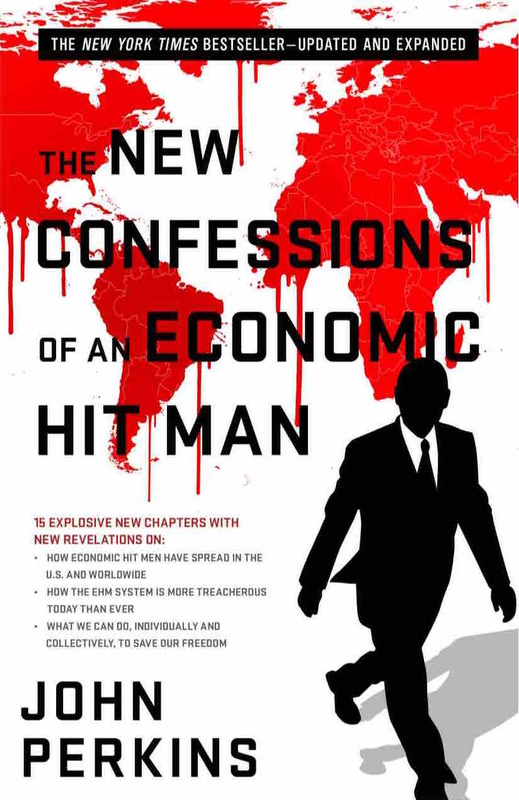 Featuring 15 explosive new chapters, this expanded edition of Perkins's classic 2004 bestseller brings the story of economic hit men up to date and, chillingly, home to the U.S. John Perkins shares new details about the ways he and others cheated countries around the globe out of trillions of dollars. Then he reveals how the deadly "EHM" cancer he helped create has become the dominant system of business, government, and society today. Finally, Perkins offers hope with a detailed list of specific actions each of us can take to transform what he calls a failing Death Economy into a Life Economy that provides sustainable abundance for all. 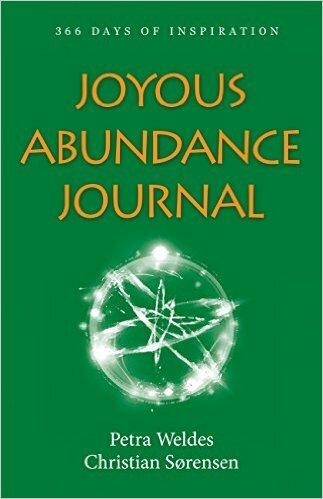 Joyous Abundance Journal is an inspirational guide to 366 days of richer living. It is the third in the Joyous Living series by Christian Sørensen, a longtime member of the Evolutionary Leaders and Spiritual Leader of the Seaside Center For Spiritual Living, alongside his co-author Petra Weldes. These daily inspirations along with quotes and questions supporting personal self-exploration spark deeper contemplation encouraging and ushering the reader to find each day's rich blessings with ease. 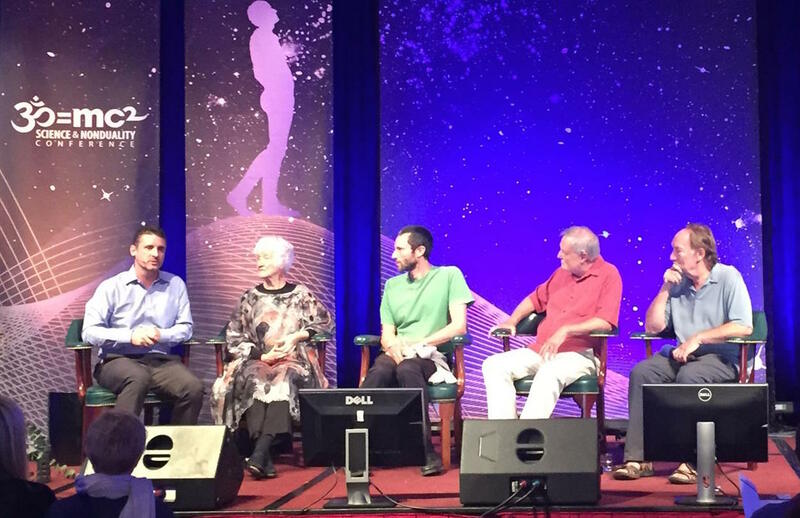 Nine members of our EL community - Margo King, Duane Elgin, Deepak Chopra, Elisabet Sahtouris, Peter Russell, Joshua Gorman, Jeff Vander Clute, Eve Konstantine, and Diane Williams - were at the SAND15 Science and Nonduality conference in San Jose, CA from October 21-25 with "leading scientists, renowned spiritual teachers, philosophers, artists and thriving international communities to explore a new paradigm emerging in spirituality, grounded in cutting-edge science and based on direct experience." 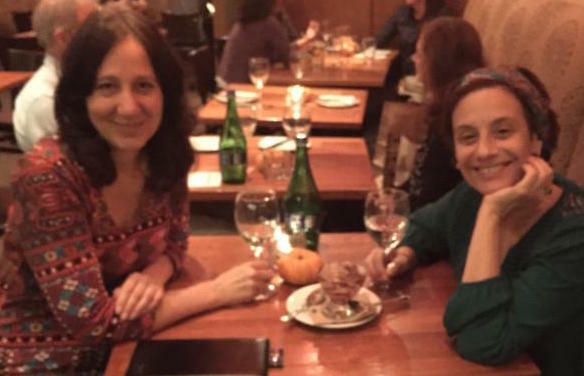 Continuing the wave of synergistic engagement among members of our EL community, Source of Synergy Board member Eve Konstantine hosted a delightful Synergy Circle dinner at her home in Santa Barbara, CA with Diane, Rinaldo and Lala Brutoco, Barbara Fields, and other guests. 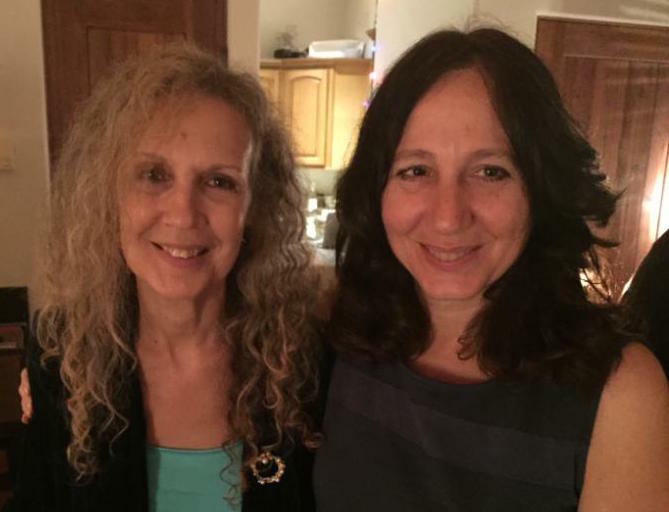 Diane's trip to California also included special moments with Barbara Marx Hubbard and Katherine Woodward Thomas. The menu at http://www.agnt.org/season-for-interfaith-celebration guides you through many general resources that will serve your program, dialogues, and projects. 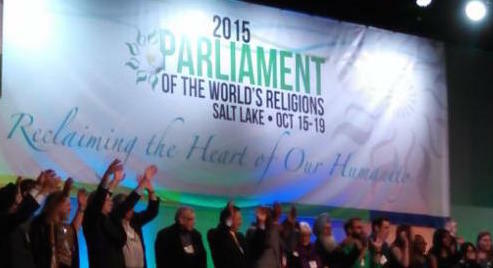 Hundreds of gifted speakers among almost 10,000 people from all over the world came together at the Parliament of the World's Religions in Salt Lake City from October 15-19 to emphasize the need for harmony, cooperation and love at a time when many challenging issues are being faced by the human race. 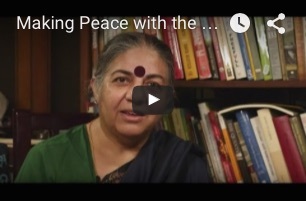 The issues addressed ranged from environmental and ecological planning to the challenges of global problem solving through methods of discovering inner peace. 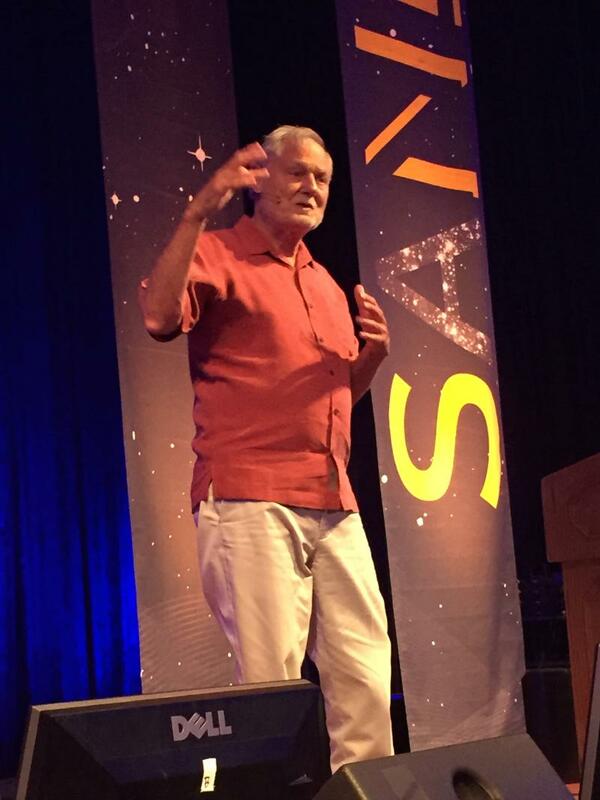 • Dr. Michael B. Beckwith also moderated a panel of New Thought ministers including Rev. Wendy Craig-Purcell on Spirituality for the 21st Century. 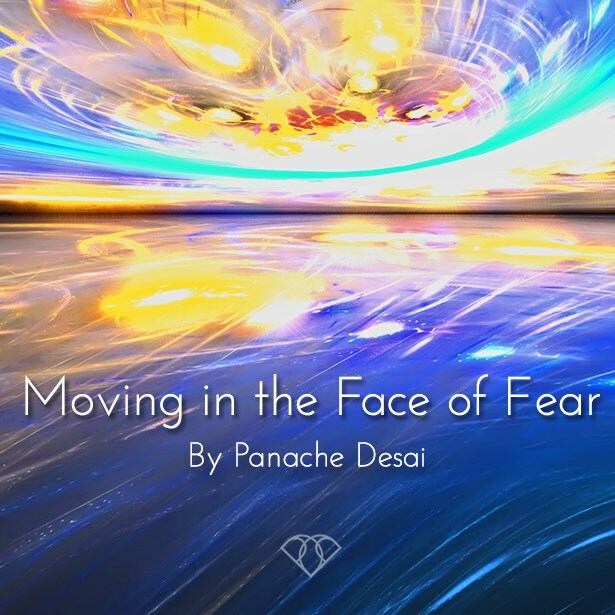 Join Panache in person for DYNAMIC PEACE, a 6-Day Sacred Immersion in Santa Barbara, CA from January 31-February 1. Our generation - known around the world as the Millennial Generation - is coming of age at one of the most critical and exciting moments in history. We are living amidst an epochal turning point in human civilization that eco-philosopher Joanna Macy calls The Great Turning, a time of transition from a dying industrial-growth society to an emerging life-sustaining society. More than ever before, our global society is calling for soul-initiated adults and visionary changemakers who can contribute their unique gifts to creating a better world, yet we live in cultures that have largely forgotten the deeper purpose of adolescence and young adulthood and the practices of soul initiation that engender true adults who eventually become true elders. 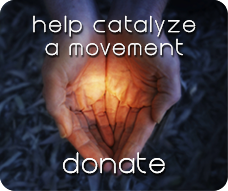 Through a partnership between two visionary organizations dedicated to human development and cultural transformation - Generation Waking Up and the Animas Valley Institute - the Millennial Quest is designed to illuminate for the contemporary world the process and practices of soul initiation and to help actualize the life-transforming gifts of today’s rising generation - a generation called to renew, remake, and reimagine our world. For the first time in human history our common future as a species is no longer certain. In just 200 years of a fossil fuel age, humanity has done enough damage to the Earth to ensure its own extinction. Our only option is to heal the earth and in so doing, create hope for our future – as one humanity and as part of one Earth community. "Life is at stake, Earth’s life as well as ours. The governments under corporate influence may fail in Paris – but we as citizens cannot. As citizens of this beautiful and bountiful planet, we make a pact with the Earth, to protect her, care for her, and give back to her the gifts she provides us with, in gratitude and love." GOI PEACE FOUNDATION FORUM 2015 "THE SOUL OF MONEY: LIVING A FLOURISHING LIFE"
The annual Goi Peace Foundation Forum brings together people in wisdom from various fields with the aim of promoting a sustainable and harmonious new civilization. 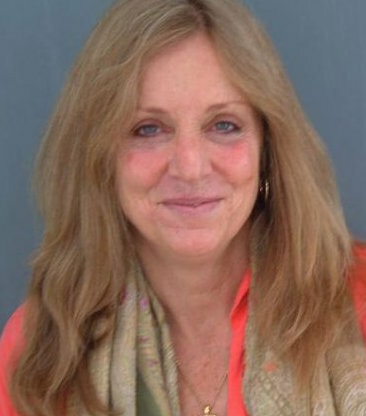 Under the theme “The Soul of Money: Living a Flourishing Life,” this year’s forum will feature the 2015 Goi Peace Award recipient, Lynne Twist, an American social activist, fundraiser and author, who has dedicated herself to alleviating poverty and hunger, and supporting social justice and environmental sustainability. Lynne tells us, through her decades of experience as a fundraiser, that money is a tool to express our soul, but that in today’s economy-driven systems people continue to be controlled by money, bringing about environmental destruction, hunger, poverty and other social problems as a result. In the forum, we will explore how we can make the most of our material and spiritual wealth to live a meaningful life of true prosperity and create a sustainable and peaceful world for all. Ms. Twist will receive the award at a ceremony, make a commemorative address and participate in a talk session with Mr. Ken Honda, bestselling author and financial expert, and Masami and Hiroo Saionji. There will also be presentations by young people who have won first prize in the 2015 International Essay Contest for Young People. 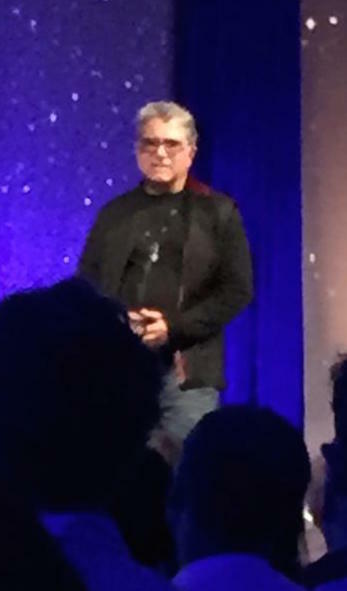 Previous Goi Peace Award winners among the Evolutionary Leaders circle are Deepak Chopra, Duane Elgin, Ervin Laszlo, and Bruce Lipton. Please join the Goi Peace Foundation Forum 2015 on Tuesday, December 1, 2015 at Nikkei Hall, Tokyo. 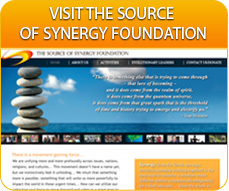 Jeff Vander Clute and Maria Bäck are the co-founders of Sourcing the Way, which launched in 2013 to deliver pioneering solutions for accelerating spiritual evolution and healing the souls of organizations and industries through energetic facilitation and advanced coaching and consulting services to visionary leaders, innovators and philanthropists looking to invest in the reinvention of human systems. 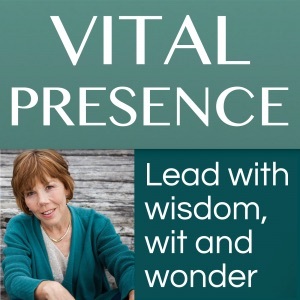 On August 26, they were interviewed on VITAL PRESENCE, a show for trailblazers, meaning-makers and creative leaders of all kinds hosted by Sally Fox, Ph.D. Hear an important conversation about intuition in business and making the invisible visible as we feel into what's important now for our business, our practices, and our lives. 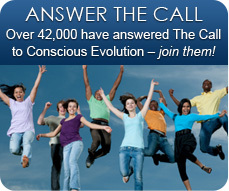 Learn more about Sourcing the Way's Offerings for Conscious Evolutionaries! 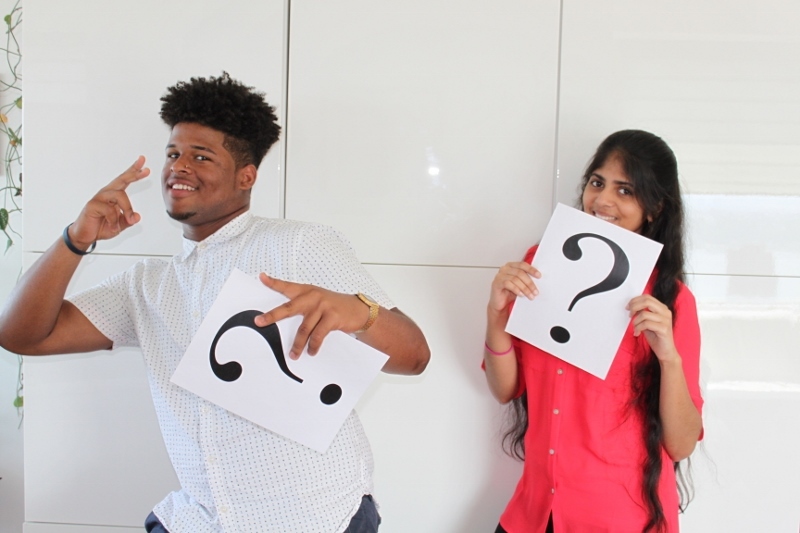 Last spring the first three QUESTion Courses were taught at Bronx Center for Science and Mathematics, a public high school in the South Bronx, NY. For a full semester, students engaged daily with questions about life, their future and the bigger picture they are a part of. This project of Open Future Institute was designed in collaboration with university and high school students who, together with educators and Open Future Institute staff, identified key human topics that are foundational to shaping our lives and future with inspiration, meaning and purpose. Through daily lesson plans, students engage with creative activities that provide the necessary space for them to learn from their own experiences and from each other. The QUESTion Course’s value is that it supports students to explore their humanity through topics that are concrete and relatable. These topics influence how they understand themselves, how they interact with others, and how they choose to shape their direction in life. Built into the approach is a fundamental paradox: we don’t ask leading questions, and we don’t ask questions that don’t lead anywhere. Similarly students learn that although they might not arrive at final answers to the topics they explore, they can deepen their understanding in a way that will give them profound confidence about life. Our mission is to support students internationally to shape their lives with purpose, and to create an example for education to recognize this area of development as a foundational subject. Our vision is that the world of education will formally support students with these core human subjects at all stages of their development. 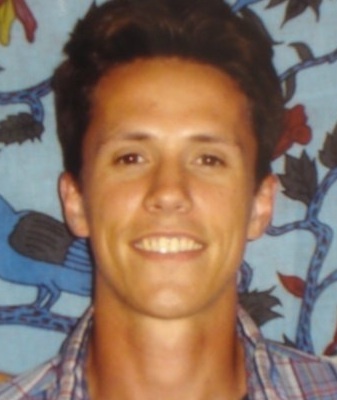 Gerard Senehi is Founder and President of Open Future Institute. 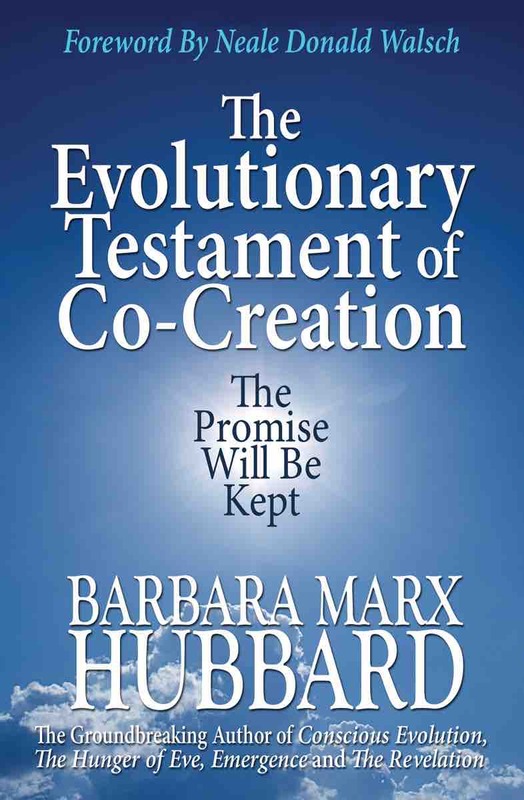 Futurist and author Barbara Marx Hubbard discusses the genesis of her new book, "The Evolutionary Testament of Co-creation: The Promise Will Be Kept." Barbara will host a webinar from January 6 to March 23. 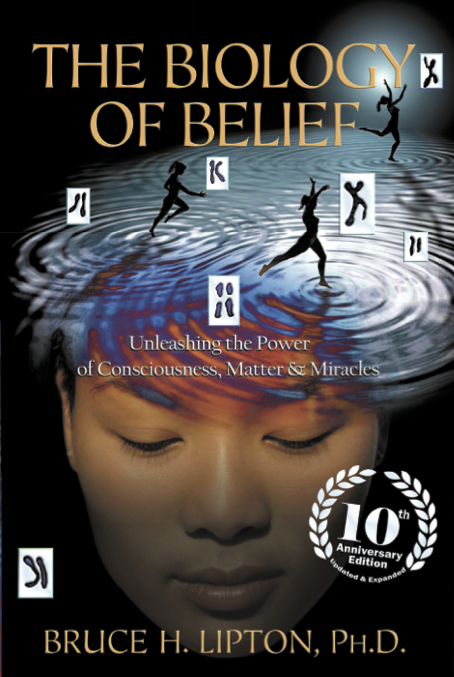 In this series, she will offer evolutionary insight inspired by passages from Scripture and discuss their meaning with Michael Bernard Beckwith, Neale Donald Walsch, and to her distinguished guests. This exploration will draw new guidelines for our generation, seeking to discover from the New Testament and the life of Jesus a radical evolutionary vision for action in the 21s century. 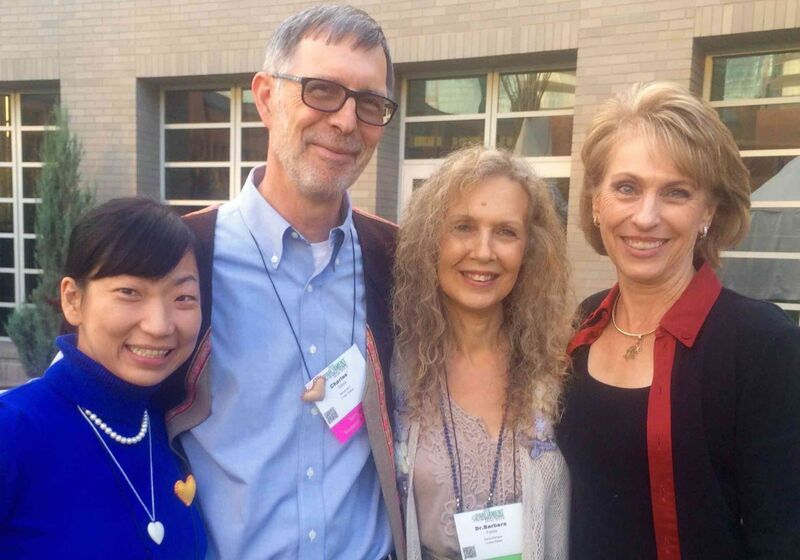 Join together with Barbara and her colleagues to consider and deepen the guidance for the meaning of our new Christ-like powers to be used for a positive future for all Earth life. 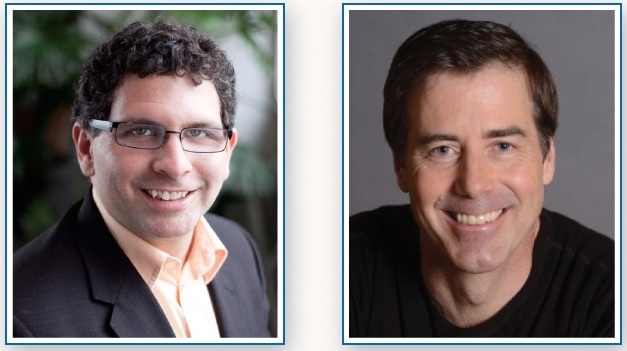 The audio recording of the Essentials of Awakening virtual workshop that Craig Hamilton and I taught together is now available to listen to or download. Spiritual Activation – The experience of being awakened, usually through a teacher or more experienced practitioner, to the reality of our own true self. Spiritual Immersion – The experience of spending enough time in expanded states of awakening that we begin to forget our previously limited sense of self. 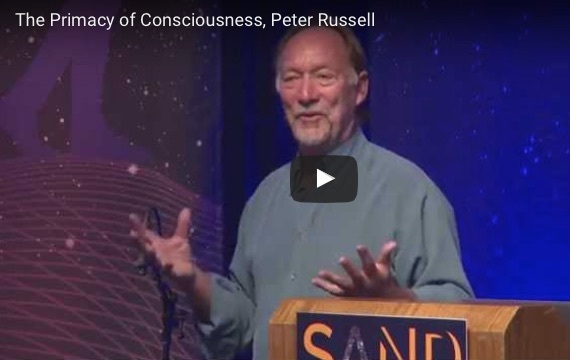 The 8 Inner Postures of Awakened Awareness – Inner orientations or attitudes, such as receptivity, inclusivity and surrender, that fine-tune our experience of consciousness. In this presentation you will also hear details about a new yearlong program called Opening to the Infinite that Craig and I are teaching together in 2016. Musician, director, and Oscar-winning actor Jared Leto has been sitting down with some of the top minds from entertainment, business, tech, and fashion over ten weeks in a new online series entitled Beyond the Horizon on AOL’s Build, a live interview platform. 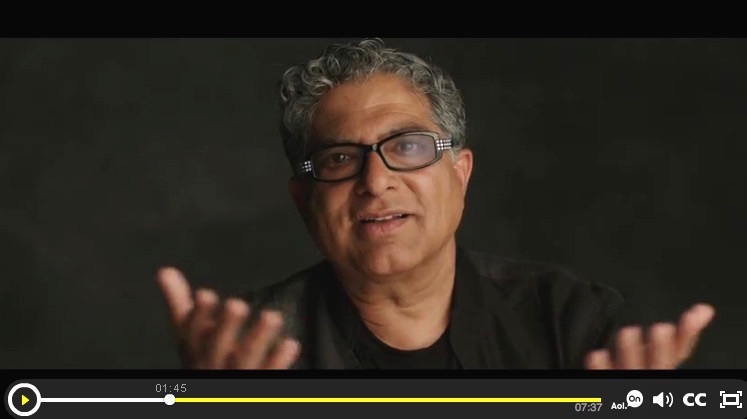 In the first 7-minute episode, Deepak Chopra gives insight into spirituality, technology and his hopes for life on earth. 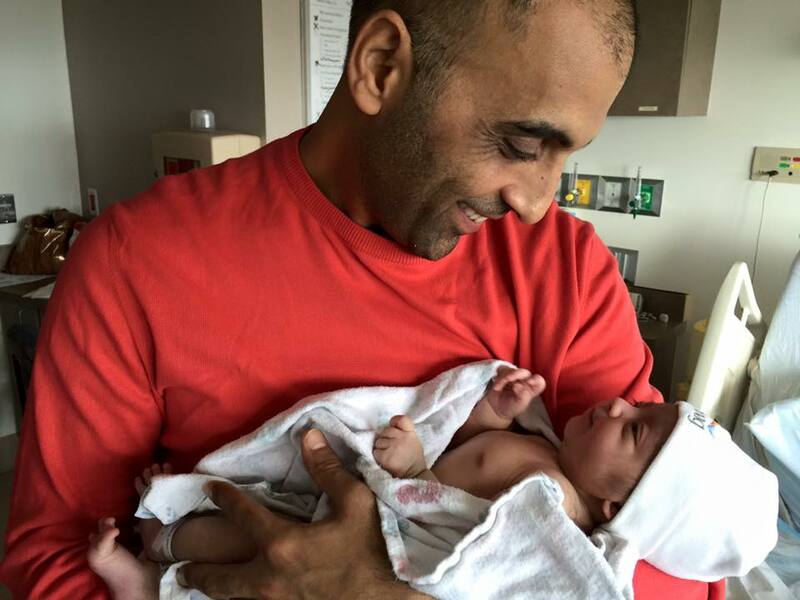 We congratulate Pedram Shojai and his wife on the birth of their daughter, Sophia Aria Shojai on November 2nd. Pedram says, "When my folks brought my son Sol over to meet his sister, it made me weep. These pure innocent kids are the light of my light and they are the reason I work so hard everyday to make the world a healthier, happier, and safer place. Looking at her has renewed my enthusiasm to help make the world a better place for all the children." What have we experienced since September 11, 2001 Is our world better, more just, and more unified? Do we have more freedom and equality? Do impoverished people around the planet have greater access to basic necessities? Is there less violence? Less destruction of the environment? Less pollution? Less war and terror? The answers to these, and similar, questions are of course not the ones any of us like to hear. However, if we want a future that is peaceful, prosperous and emotionally fulfilling, we must ask such questions – and we must commit to a new era that changes the answers. We as citizens cannot step back from the responsibility to do all we can to create better solutions – not only for ourselves but also for our neighbors at home and abroad. After September 11, 2001, we in the US were told we had to unite in a spirit of “patriotism” and unity against an enemy. We were told to come together so that we could be stronger against “them,” and we’ve allowed this polarized perspective to poison our foreign policy, our choices for elected officials, and the way we treat each other. We didn’t ask questions or insist on evidence. We allowed ourselves to be terribly deceived. And the result has been a Death Economy that has all but destroyed the American middle class, widened the gap between rich and poor, and negatively impacted the entire world. It has also seeded and nurtured the growth of that which we were told we should most fear, Islamic extremism. Our government and the corporatocracy have been quick, overly quick, to point fingers and lay blame on specific groups and ideologies for the attacks on 9/11. It is time for us all to understand that the actions which followed gave them ever increasing power and profits. They convinced us to aim at a distant target. Better a target in a foreign land then people and companies in our own backyard. By keeping us divided from our brothers and sisters in other parts of the world, they bolster their ability to remain in power. By keeping us afraid of an illusionary enemy, they keep us dependent on their imaginary – yet very costly – protection against that enemy. As long as we continue to hate whomever they tell us to hate and to fight against others in the interest of “patriotism,” we are playing into their hands, helping their bottom lines, and sabotaging the future of our shared planet. Speaking at that 9/11 event and hearing the other speakers – one after another pointing out the many abuses we have suffered following 9/11 – I saw how what has happened to us is exactly what we were told Osama bin Laden wanted to have happen to us. I saw too that now it is time for us to wake up. It’s time to realize that this “us versus them” story is a misleading and self-destructive story. The age-old “we are the victims of evil forces” myth serves the corporatocracy, not we the people. 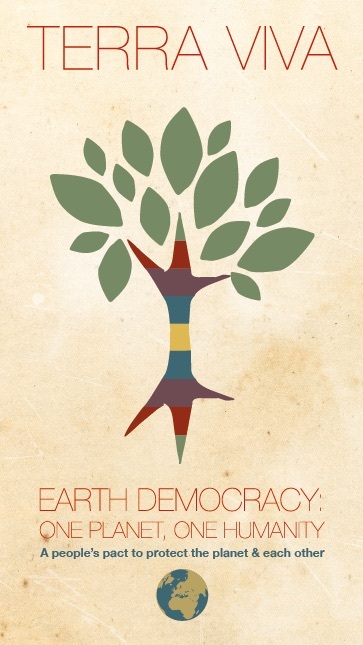 All of us, all life forms that inhabit this fragile space ship, our Living Earth, share the same basic human rights to food, water, clean air, shelter, health care, and essential freedoms. We must accept responsibility to care for each other, and stop turning a blind eye to the reality that actions which divide us are not solutions. By shifting the worn-out old story, we empower ourselves to take power back from the giant corporations and politicians who want to run the world at our expense. This Death Economy they are selling us day in and day out can be shifted to a Life Economy. We can do it, you and me, by joining together and applying our energies with diligence, perseverance, and the joy that comes from doing good work. The higher you ascend the more subtle and refined the energy gets: every thought, every emotion synchronizes with exquisitely subtle frequencies. Great composers talk about receiving music rather than actually creating it in their heads. It is as if we hear their harmonized impressions from deeply attuning and touching the subtler vibrations of Source itself. Attention, it seems, is a process of merging. We enter into what we give our attention to. The fuller our attention the deeper we go into complete imaginative immersion. Einstein believed his scientific theories emerged out of imaginative communing. Rather than being fiction or fantasy, imagination is a higher faculty and a more subtle substance than linear intellect. Imagination, like the dream world, is supersaturated with a multiplicity of meaning. We leave the binary codes of either-or and we enter into the inclusive territory of both-and. The depth world of consciousness transcends polarities and brings all perspectives into its purview. The further we step back into a wider perspective the more we can experience the vast interrelationship between everything. This is much more than getting the concept of a universe that is a web of connections, it is awakening a living connection to all being. It is a heart awakening to the life-force of oneness and its expression in qualities that radiate unity. Empathy and compassion are aspects of deep imaginative engagement and communion -- experiencing others as self. We step into what appears as otherness and embrace it as self. We see beyond the walls of separation. The river of our attention flows toward a wider ocean of unity. Once consciousness is liberated from being ensnared in endless calculations about differences, it breaks out of fragmentation and the illusion of separateness. We then understand that reality is whole. And wholeness heals all wounds. We now know where the wounds of a fragmented world can take us and just how lost we can find ourselves when we join in self-righteous blaming. We also know that we can get dragged into whirlpools of entropy by constantly having our attention and energy sucked into the problems created by division. The great spiritual challenge is to grow and grow as servants of the whole and not be swept away as enthusiastic partisans of the part. And many souls across the planet have begun to live that challenge. Living into oneness is already giving birth to a new humanity even as the fires of sectarian rage create untold suffering. A generation is rising, mentored by conscious parents and wise elders—a generation whose hearts and minds are shifting to landscapes of global oneness. If your head gets in the way and you can’t see it, breathe and listen deeply. Maybe you will hear a single frequency calling like a clear flute in the center of your heart. Just give your attention to that one pristine note until slowly it finds its place in the symphony of all life. Then step into the music that always was and ever will be.